A nurturing, personable, warm, and inviting practice combined with excellent training and practice makes for a win-win situation in delivering women's healthcare. 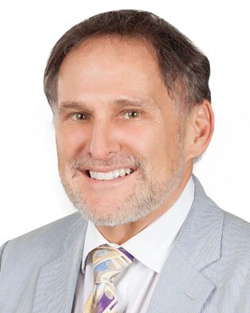 Dr. Andrew Krinsky is board certified in obstetrics and gynecology and takes a holistic approach to women's health. His specialties include menopause, osteoporosis, and bladder leakage. He is a former instructor of medical students, nurse practitioner students, and physician assistant students, and he is trained to perform religious circumcision for Jewish families (Mohel). In addition, Dr. Krinsky is involved in the community as a lecturer for a women's menopause support group and patients from Women in Distress. Dr. Krinsky was born in Boston, Massachusetts. He has been practicing in Florida since 1985 and he has two children. When he isn't seeing patients, Dr. Krinskey enjoys swimming, cycling, traveling, collecting, and photography.